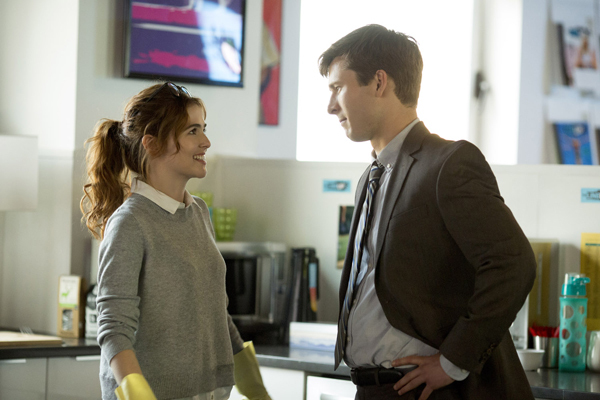 This week's new release: "Set It Up," starring Zoey Deutch ("Vampire Academy") and Glen Powell ("Everybody Wants Some!!") as executive assistants who trick their overbearing bosses, Lucy Liu ("Elementary") and Taye Diggs ("Empire") into dating each other. It's one of the most talked about romantic comedies in years, and everybody seems to be watching it on Netflix. Claire Scanlon's “Set It Up,” now available on Netflix, is a perfectly delightful romance with a great cast (Zoey Deutch and Lucy Liu in particular) and features an easy, brisk pace. It's a bright and reasonably intelligent film where characters are allowed to be a skosh more iconoclastic than in your typical Hollywood romcom, and the conversations they have rarely feel contrived, even when working within the contrivances of the plot. One would certainly do well to seek out. The most striking feature of “Set It Up,” however, has less to do with its romances, and more to do with its deep and natural understanding of working for a horrible boss. Deutch plays a young woman who bends over backward for her boss, Lucy Liu, sacrificing every hour of her day in service of a boss who may be appreciative, but who is definitely and knowingly running her assistant ragged. Glen Powell plays a man who is learning, very gradually, to sacrifice his life and his humanity in service of an equally demanding boss played by Taye Diggs. Many, many young would-be professionals likely know the experience of giving their lives entirely to a terrible boss who may not even see them as human beings. As someone who once worked as an intern for a major Hollywood player, I know the feeling. As a B feature, then, I'm going to recommend a workplace “comedy” film that was praised when it came out in 1997 but has since escaped mention. Jill Sprecher's “Clockwatchers” is ostensibly a comedy about the camaraderie between four young women working in a faceless office block, but will eventually be about how the office environment is eroding their souls. Toni Collette plays the new kid in the office who is inducted by the friendly and forceful Parker Posey into an inner circle of buddies (also including Alanna Uback and Lisa Kudrow). At their office, no one knows their names, they are blamed for petty infractions, and they are punished unduly for things they didn't even know were happening. It's a light '90s indie version of Kafka. Eventually, too, it will be revealed that Posey's character is not as benevolent as she seemed and that petty in-office infighting can lead to a stagnation in one's entire life. It's one of the better workplace comedies of the 1990s, and it's high time it was rediscovered. Never trust someone who says a genre is dead. Even the most obscure types of movies get made once in a while, and yes, a few great ones have come out in recent years. I highly recommend the smart remake of "About Last Night," the witty "Sleeping With Other People," and the tearjerking "The Big Sick" if you don't believe me. They're all great. But all those movies seem to be playing against the conventional tropes of the romantic comedy genre, and make themselves remarkable by bending or breaking the most notorious clichés. And yet, many of us rom-com fans love those clichés. And no modern rom-com understands them better than the gut-bustingly hilarious, but often overlooked "They Came Together." 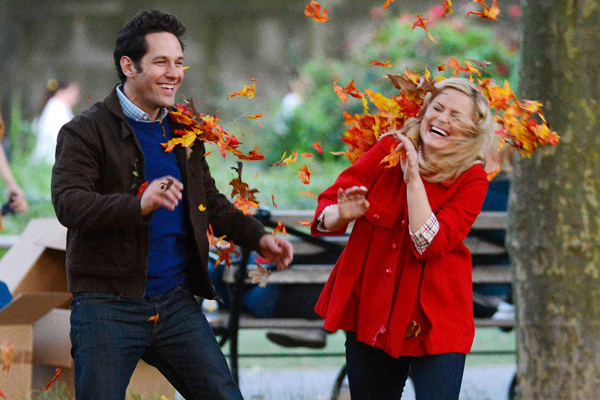 Directed by David Wain ("Wet Hot American Summer"), "They Came Together" stars Paul Rudd and Amy Poehler as mismatched yuppies with generic interests who initially dislike each other, then fall in love, then arbitrarily break up and get back together again during a wedding. It's every rom-com you've ever seen, and it hits every bullet point so hard it hurts. They bond over their shared love of "fiction books," they make sure they tell each other which anecdotes will later illustrate where they'd run if they suddenly fled a wedding. They make damn sure you know that New York City is a character too, if you think about it. It's the kind of comedy that everyone would find funny, but only someone who truly understands rom-coms will love. And you feel that love. This is not a mean-spirited swipe at the genre, it's a knowing send-up from people who understand every possible aspect of how rom-coms are written, directed, acted and produced. It's practically a masterclass in the type of cinema that directly led to the creation of "Set It Up," and it's a must-watch.